NEW YORK, June 13, 2018 — IPv4.Global, an operating unit of Hilco Streambank (www.hilcostreambank.com), announces the inaugural launch of the IPv4.Global Good Netizen Awards, which will coincide with the NANOG 73 meeting taking place June 25-27 in Denver, hosted by CoreSite. 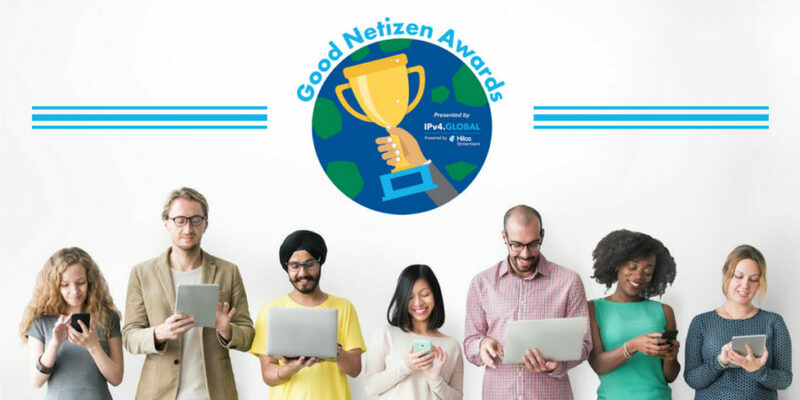 Following a selection process by IPv4.Global, vetted prospective nominees throughout the Denver area can expect to be contacted before NANOG 73, and the IPv4.Global Good Netizen Award winner and runner-up will be chosen through an open, online vote from June 19 to June 27. During this time, industry professionals are encouraged to select the nominee they deem the most worthy. IPv4.Global will contribute one percent of gross sales on the IPv4auction.com platform in the week following each meeting, and award the IPv4.Global Good Netizen Awards winner and runner-up with these proceeds in support of their continued efforts.